Henan Uters International CO.,LTD is a professional supplier which provides a variety of FILTER ELEMENT, to provide customers withWholesale pricesFILTER ELEMENT ,dust filterx1dd01f6nand FILTER ELEMENT and so on. Since the company had been established in North Third Ring Road,City area,Zhengzhou City,Henan Province,China, adhere to people-oriented ,and the quality of survival, to the credibility of development,our company have made an outstanding achievement.We based in Henan Province,market-oriented,to customers are thinking,anxious customer anxious. The advantage of UTERSLubricating oil filteris that it can provide more professional and thoughtful solutions timely and accurately according to the actual needs of customers.At the same time, Our company follow the latest developments on Industry and agriculture,Manufacturing,Mechanical hardware processing, and establish long and steady partnership relation with many well-known enterprises in the same industry , to provide customers with the most professional, advanced metal filter.Details:Main technical parameters Work pressure: 0.05MPa to 0.6MPa Working temperature: 5 ~ 40 C (special temperature can be made) Single machine flow: 0.5m3/h to 80m3/h Operation mode: manual or automatic control Filtering speed: 5m3/h ~ 12m3/h, maximum 15m3/h Product specifications: 223 ~ 3000 Barrel material: 304, 316L, Q235 lining glue or glassy epoxy. 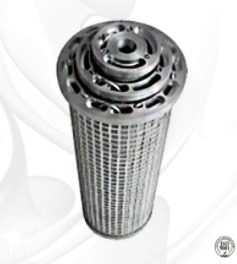 Mechanical filter Principle: adsorption method Application: solid-liquid separation Style: vertical filter Performance: efficient filtering Applicable object: water Properties of applicable objects: low temperature materials Type of filter material: quartz sand Scope of application: water treatment systems in oil, pharmaceutical, automotive, light industry, water treatment, electroplating, textile and other industries purpose In many processes, mechanical filters are needed. 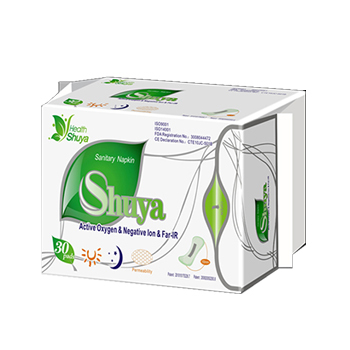 For example, we are familiar with electrodialysis engineering and electrodialysis engineering. A process before water purification is to remove suspended solids, granular impurities and other impurities through mechanical filters. Many other technologies such as brackish water desalination, space water production, drinking pure water, groundwater fluoride removal, pharmaceutical industry injection preparation, chemical fertilizer, machinery industry water and other processes all need mechanical filters. Daily operation (1), after the system has been suspended for a long time, the filter material should be washed for about 5 minutes when the filter is reopened, and the effluent will be rinsed until the water is clear. (2) system, the initial operation or long-term outage after operation, with equipment exhaust: open the exhaust valve, inlet valve, inlet and exhaust valve, until V8 discharge did not air until the (part of the small filter does not separate exhaust valve and exhaust outlet are available). (3) for large filters, air scrubbing can be used to enhance backwash effect. Generally, compressed air is introduced (intensity 10 to 18 l/s.m2), and then air water backwash is applied. (4) the backwashing strength should be well controlled when the equipment is backwashed, and the system should be avoided by washing the activated carbon. (5) according to the water quality of the water, the activated carbon filter should be replaced regularly, which is usually replaced once in 3 to 6 months. UTERSalways adheres to the corporate purpose:Ｃｒｅａｔｅ value for customers and step forward with employees. ; advancing with the times,make progress together with metal filter, and go hand in hand to get innovation and a win-win situation. To get more information about FILTER ELEMENT,FILTERATION, you can log in and look through UTERS official website: www.hqfiltration.com.